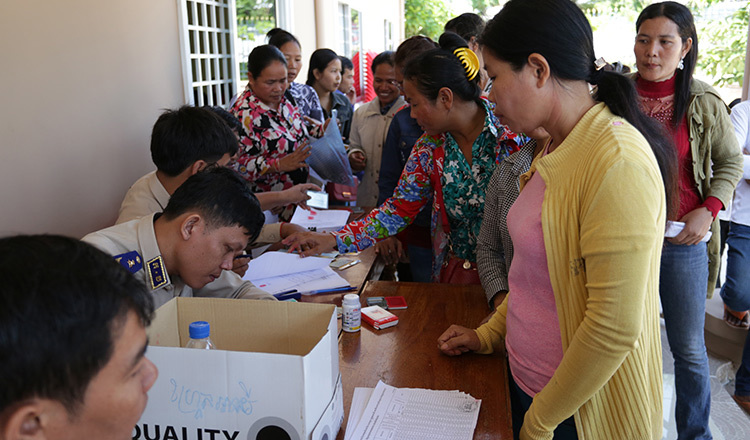 Garment workers from four out of nine factories whose employers fled the country without paying their wages and other benefits began receiving their payout from the government yesterday while the rest will receive it after Khmer New Year. 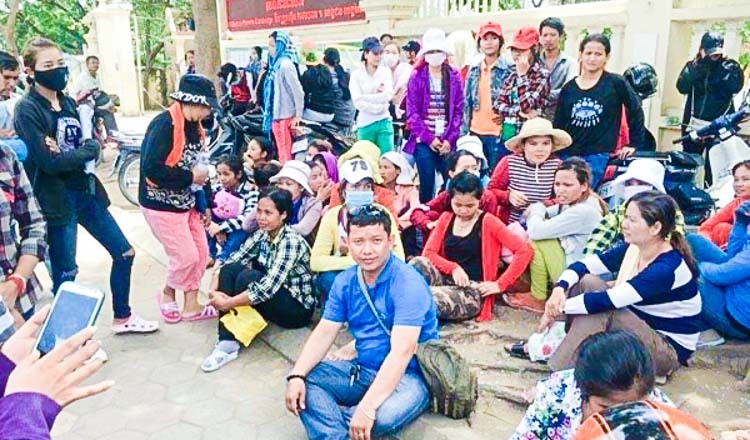 According to a statement from the Labour Ministry issued yesterday, more than 2,500 workers from four factories would be paid starting yesterday until Thursday since their owners fled the country years ago. “Today, the ministry starts its campaign to pay wages to a total of 2,542 workers whose bosses have ran away without paying them,” it said. 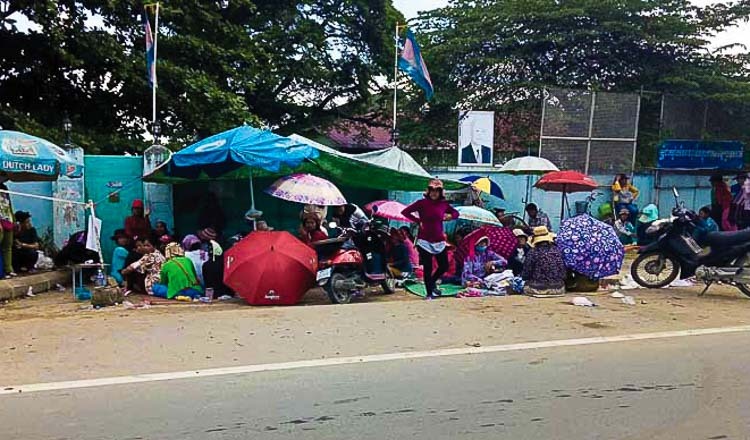 The Labour Ministry issued an announcement earlier this month to laid-off workers from four factories to come and receive their wages and other missing benefits between Monday and Thursday following a sub-decree issued by Prime Minister Hun Sen. 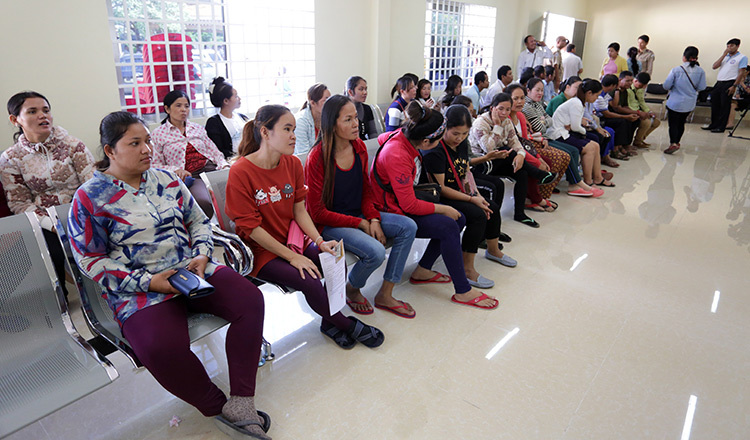 In late February, Mr Hun Sen announced that the government was prepared to pay $4.6 million to 4,100 factory workers whose employers had fled. Each worker would receive up to $1,100, depending on years of employment. 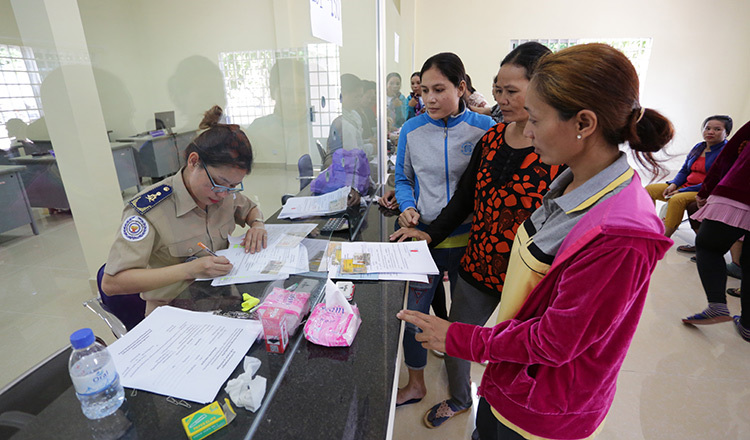 Kreng Chheng, 43, a worker from the Great Honour Taxtile factory, said she was delighted to receive her wages and other benefits totaling $1,649 after working at the factory for 20 years. “I am very happy to get paid. I never thought I would get it. 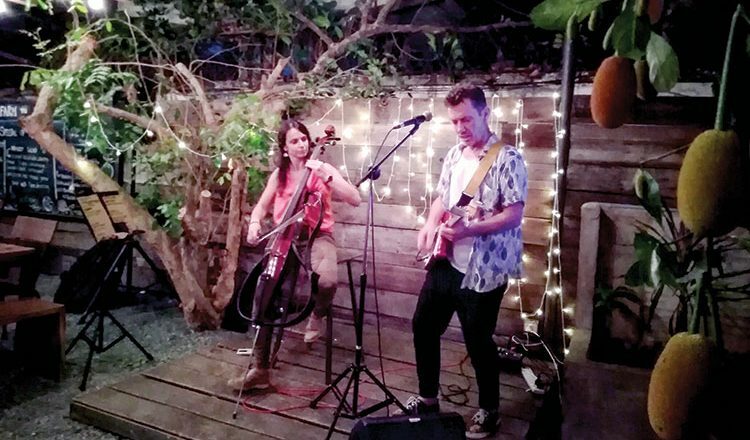 I had no hope that our problem would be solved,” she said. 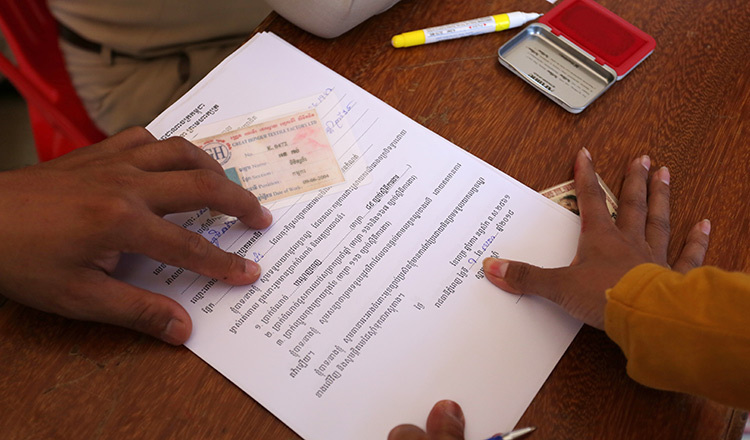 Ms Chheng said she could now afford to spend the Khmer New Year holiday with her family in Kandal province’s Sa’ang district. She added she was looking for a job. 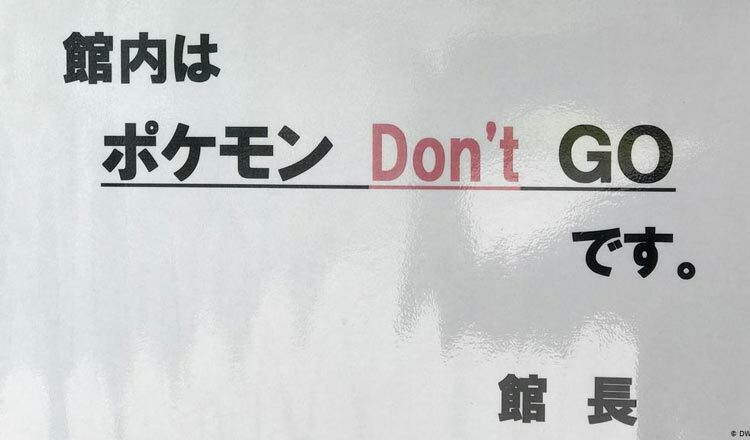 “We lost our job in July 2016 after the boss fled and we protested for about two years to demand a resolution,” she added. 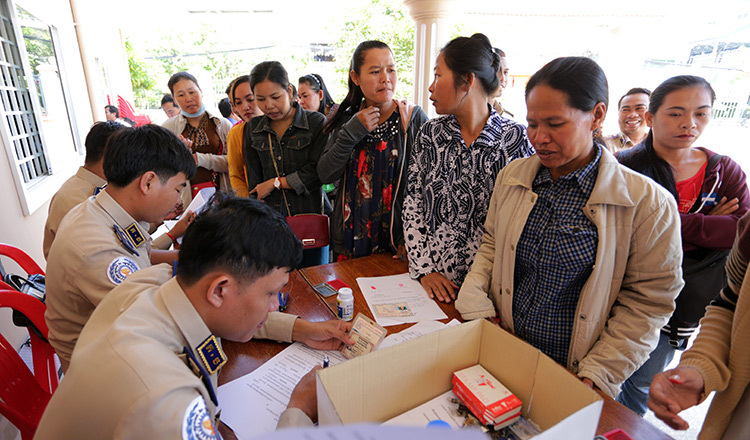 Ms Chheng said some workers had received their wages while others would get their money prior to Thursday, two days before the start of Khmer New Year. Heng Sour, spokesman for the Labour Ministry, said yesterday that the $4.6 million budget would pay workers from nine factories whose employers fled the country. Workers from four factories would get paid this week while workers from the five remaining factories would get paid later. 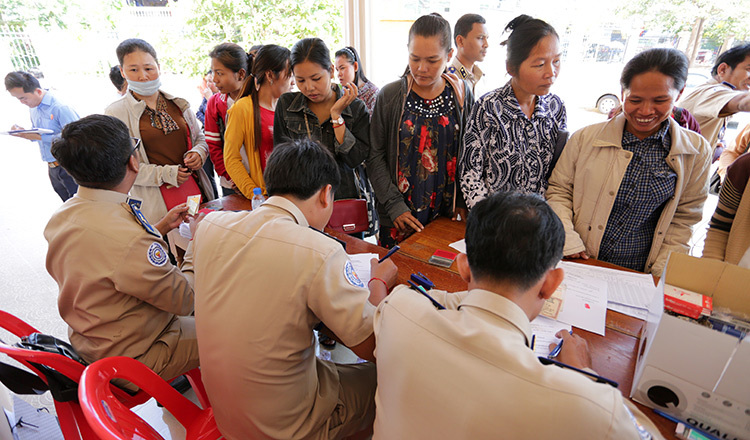 “The workers from the five other factories will receive their wages and other benefits after Khmer New Year once we complete calculations. We will tell them where they can collect their payment,” Mr Sour said. He added that the payment was offered to workers on both fixed-length contracts and unlimited-duration contracts, and included their seniority bonus. 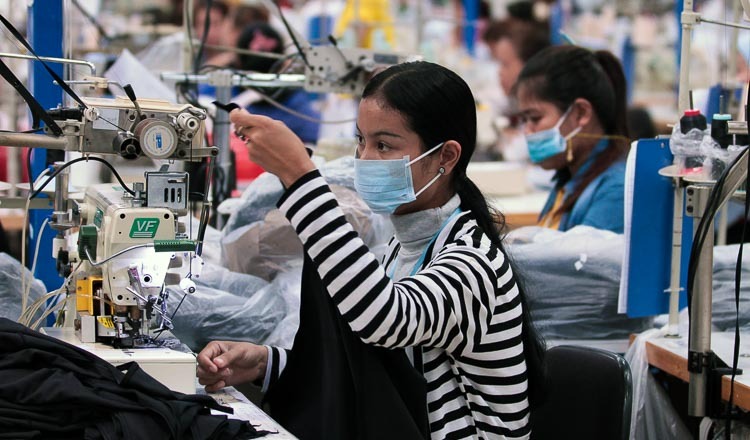 Kaing Monika, deputy secretary-general for the Garment Manufacturers Association in Cambodia, said yesterday that GMAC really appreciated the government’s intervention to help the unpaid workers. “We do not want to see such a distressed closure. That’s why it’s of utmost important that all stakeholders work together to maintain our country’s competitiveness and to prevent this undesirable situation from happening in the first place,” Mr Monika said. Labour Minister Ith Samheng said last month that from now on the ministry would take action to stop factory owners from fleeing and also prepare ways to protect workers. “The ministry is preparing regulations that will require all enterprises to pre-deposit money with the National Social Security Fund, so if the factories close unexpectedly, the NSSF will have the ability to pay workers on behalf of the factory,” Mr Samheng said. He added the ministry would take legal action against fleeing factory owners even if they had already escaped to their countries. Pav Sina, president of the Collective Union of Movement of Workers, hailed the government’s intervention to help pay the workers, but urged the Labour Ministry to explain to the workers why they calculated the amount of wages and benefits differently from what workers deserved to receive. “I see that some workers are not very happy because they are wondering why they worked for many years, but instead received little money while other workers received more money,” Mr Sina said. 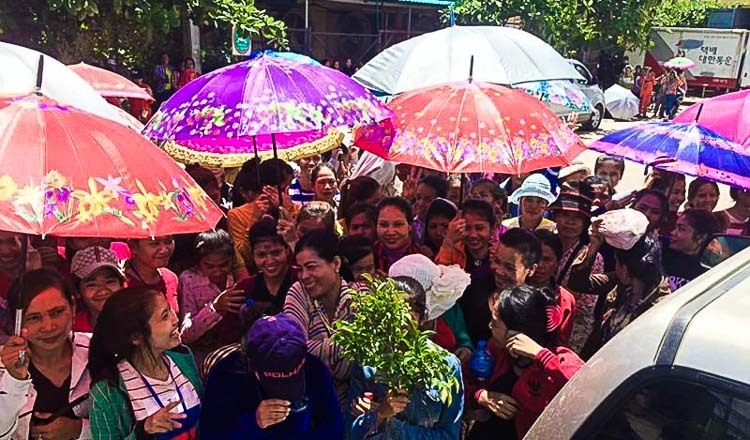 He added that workers forced themselves to accept the money because they needed it for Khmer New Year. “I call on the government and relevant officials to speed up paying wages for workers as soon as possible because they need it badly to pay for their living costs,” he said.